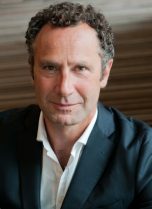 Frédéric Loeper is a partner at Accuracy. He acquired his experience in advisory and financial audit whilst working at Arthur Andersen for 5 years, before joining Accuracy in 2004 as one of its first co-founders. With twenty years of experience, Frédéric is specialised in Corporate Finance. As such, he advises large groups and private equity funds in their critical operations such as acquisitions, disposals, and negotiation of sale and purchase agreements, business plan modelling, disputes, fraud cases and valuation. Frédéric teaches Corporate Finance at ESCP Europe where he is an affiliate professor. As such, he is also responsible for the training programme at Accuracy. Frédéric speaks French and English. With twenty years of experience, Frédéric has been exposed to a multitude of sectors, with a specific focus in the luxury, retail and agribusiness sectors. Frédéric has been appointed many times as financial advisor for both corporations and private equity firms in the context of acquisitions or disposals. He regularly conducts buy-side financial due diligence, vendor due diligence and vendor’s assistance, carve-out, BP preparation, assessment of synergies, price negotiation, price adjustment and mechanism definition. On numerous occasions, Frédéric has been appointed as financial expert in litigation or arbitration cases and has testified as an expert witness. He also regularly leads forensic engagements in the context of fraud investigations. Lastly, Frédéric has also been involved in restructuring cases, working for the company or the lenders: short-term cash flow forecasts and debt restructuring simulations. Appointed financial advisor by a French luxury group on various acquisitions or disposals of fashion houses, luxury brands, key suppliers, hotels, wine & champagne brands and more. Financial diagnosis of a French haute couture house. Financial and valuation expert in an ICC arbitration in Paris in the context of the litigation between a designer and a fashion company. Several due diligence engagements for private equity funds specialised in fashion and retail businesses. Business plan preparation of a very famous and old French ready-to-wear brand. Vendor due diligence works in the context of the disposal of a whisky brand. Valuation works on a portfolio of luxury hotels. Due diligence engagements in the context of acquisition and build-ups in the sector of disinfection and hygiene solutions for agrifood and agriculture professionals. Critical review of production costs in the egg industry. Business plan preparation and valuation of a French cooperative. Numerous buy side or sell side due diligence on PE assets. For PE funds, acquisition of a European economic hotel chain, an outdoor accommodation group in France and in the UK, beauty products, ready-to-wear brands, websites and more. Several engagements in the travel retail sector: valuation, disposal, BP preparation, cash forecasts. Financial investigation following an investment as minority shareholders in a company. Financial investigation in order to demonstrate misuse of assets. Financial investigation into potential conflicts of interest of a manager with a number of suppliers. Financial investigation into potential conflicts of interest following the signature of a contract.